When Paddy Power gets it right, it really does know how to make you smile. 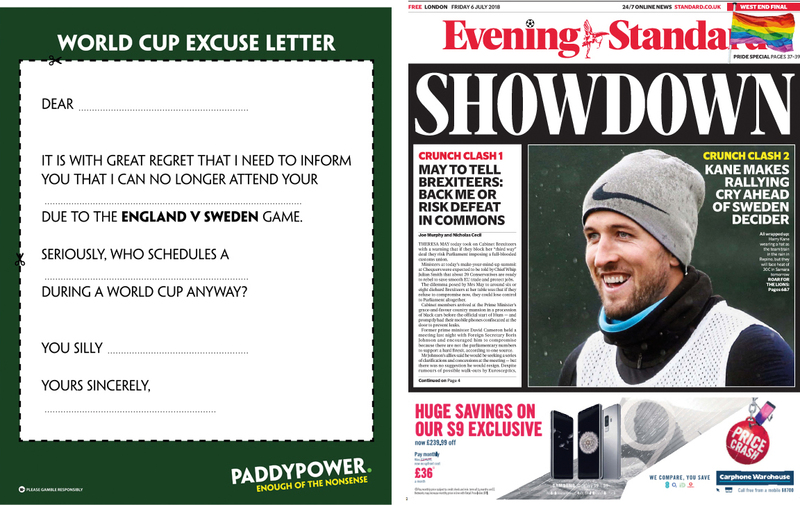 Another simple but effective World Cup tactical ad gave Evening Standard readers a customisable excuse letter to use during England’s quarter-final match with Sweden. 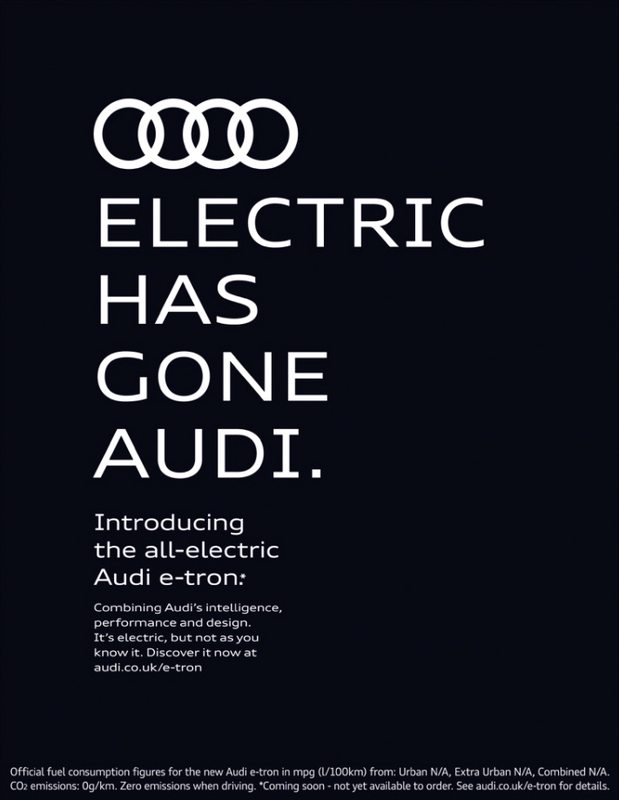 This clever wordplay fronted an impactful print campaign for e-tron, Audi’s first all-electric car, that ran as a full page across all national news brands on the same day. Audi was the first brand this year to take advantage of Impact, a media package that included a one-day takeover in national and regional print titles. 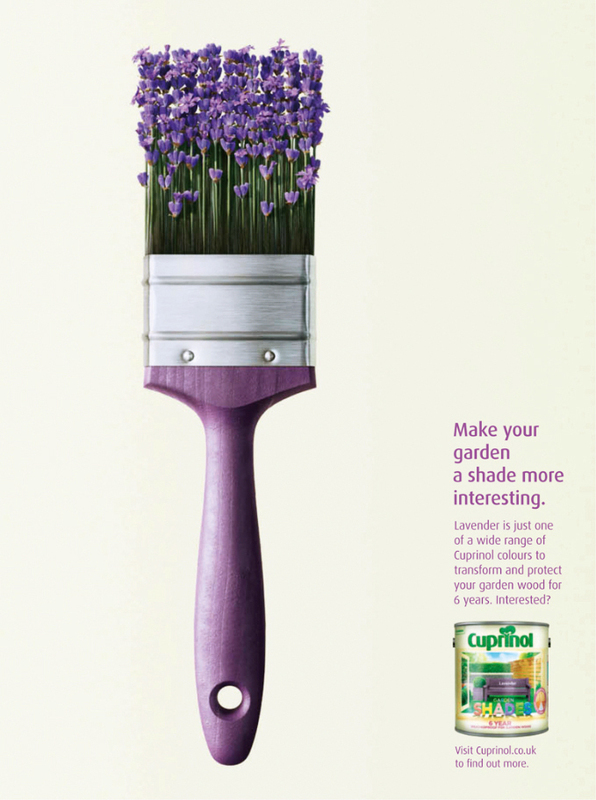 Paint brushes are hardly known for their beauty but Cuprinol has done its best to doll some up for this campaign. The Dulux outdoor paint brand shows off its colour range by replacing brush bristles with items that give the variants their names. There were many outstanding print ads related to the World Cup this year, but this campaign revealing the dark side of football fever was the most striking. 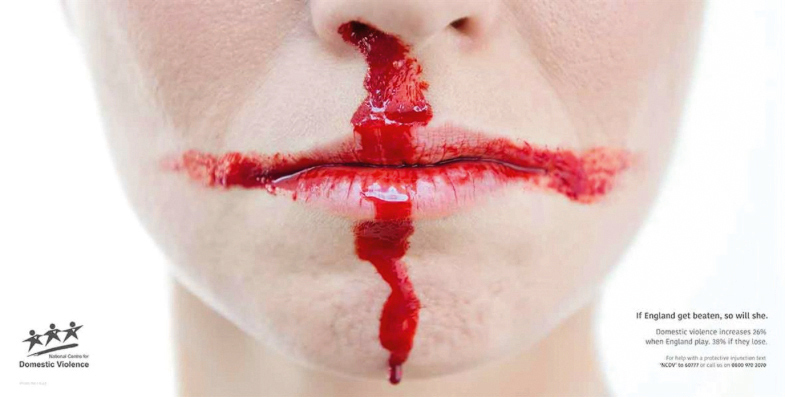 The England flag was reimagined in blood to convey how domestic violence spikes when the national football team plays (and even more so when it loses). 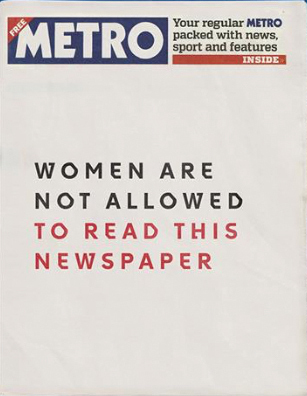 In May, Metro readers were presented with a stark coverwrap informing them that "women are not allowed to read this newspaper". Inside, the provocative campaign to promote the TV show revealed main character Offred burning her repressive clothing with a rebellious message from the show. 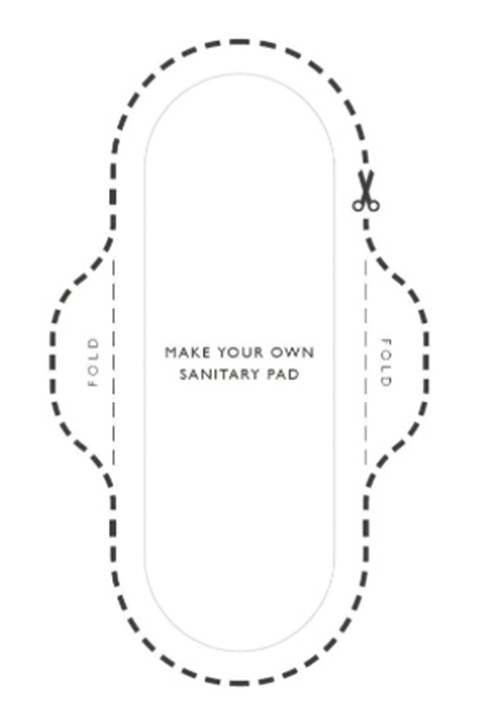 This playful ad highlighted the shocking reality of period poverty by inviting readers to cut out their own sanitary towel. Flip the page and the ad continues, revealing that one in 10 girls in the UK cannot afford sanitary products and must resort to using loo roll or even newspaper. Smartphones can open up awesome possibilities but they look like boring thin slabs of black glass. 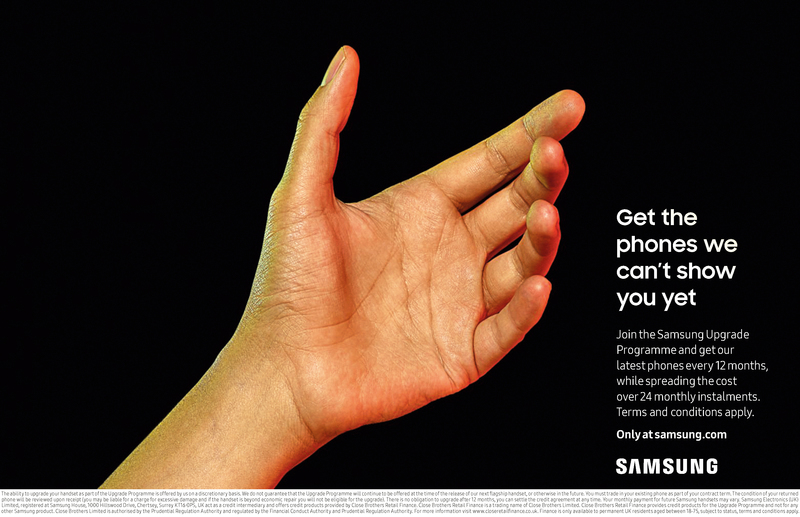 So Samsung decided to just show an empty hand, inviting the user to imagine what could be instead of what is. The summer was dominated by England’s unexpected success at the World Cup in Russia, and brands predictably spotted a marketing open goal. 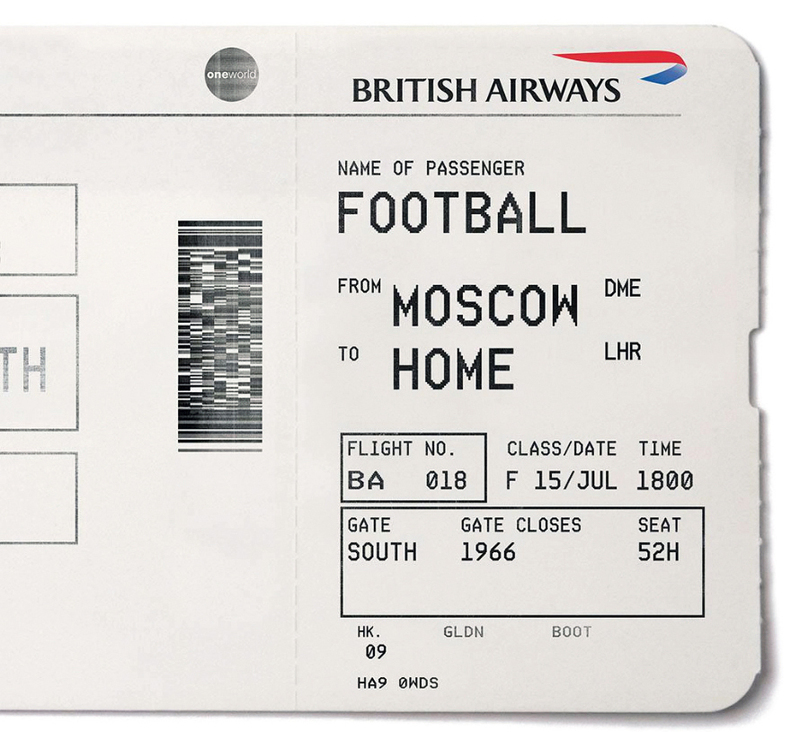 But BA turned out to be the unlikely champion of this year’s tactical ads, with a subtle but very clever execution. KFC was in terrible trouble in February when a chicken supply shortage forced outlets all over the UK to shut down. But this simple, funny and forthright mea culpa helped the brand weather the crisis.